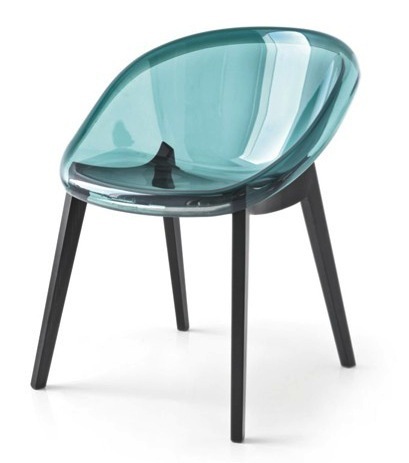 Bloom chair is a modern and innovative chair, thanks to the transparent or coloured polycarbonate shell, perfect for several environments, from kitchens to dining rooms, from bars to patios. 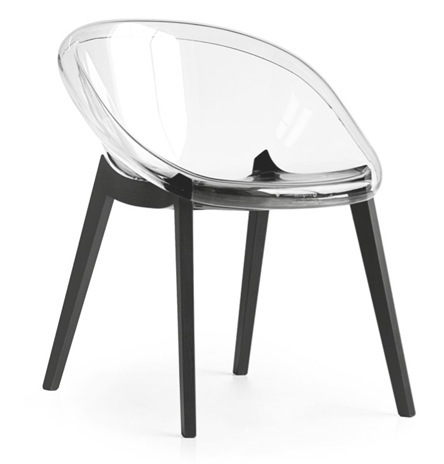 The tub chair is highly comfortable thanks to the rounded silhouette that wraps around you as a nest. 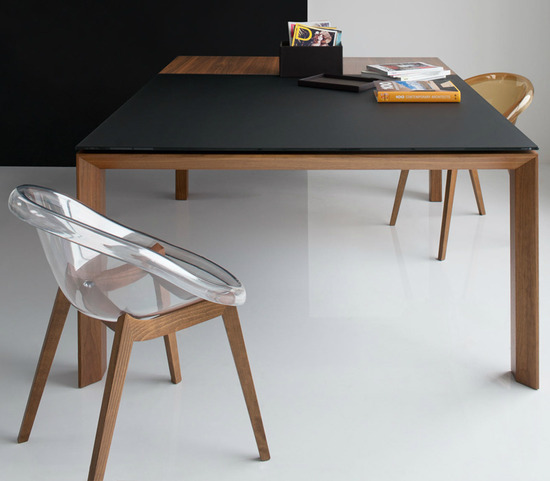 The wooden base, with its square tapered legs, melts into the frame wrapping the shell as if it were a part of it. Dimensions: 23.25"W x 23.25"D x 29"H: Seat height - 17.75"